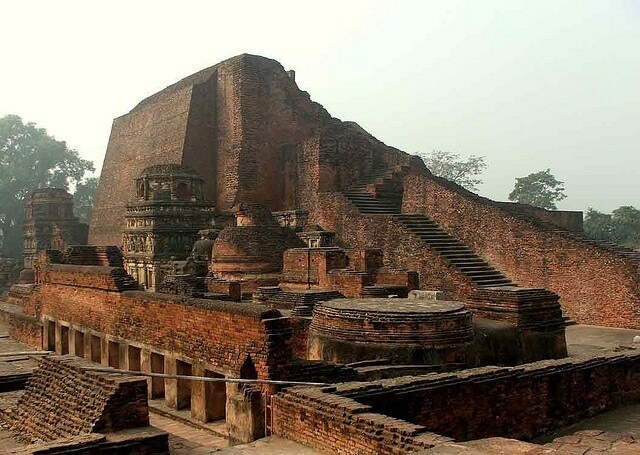 After having split from Patna, Nalanda was declared as a district in itself, with Bihar Sharif as the headquarters. Known as a great centre for learning since ancient times, the district of Nalanda is the house of the famous Nalanda University. Buddhist monks are said to have resided in Nalanda during the establishment of Nalanda University. The ruins found in this part of India have been declared to be of great importance by the Archaeological Survey of India. Bihar is the house of various such locations of religious, historical, mythological, and cultural importance that attract a lot of attention, even in the lesser known parts of the state. The history of Nalanda traces back to the ancient times when Bihar was the capital of Magadha. Let’s take a look at the few tourist destinations that one can visit in Nalanda. Known as a great center for learning since the ancient times, Nalanda International University is located in the Rajgir region of Bihar, close to the district of Nalanda. Known as the ancient seat of learning, the ruins of this university lead back to the times when Patna was called Patliputra, and was the capital of the Magadha kingdom. It is famous as a monastery of Mahavir, and also one of the most significant Buddhist learning centres of India. Historians have traced the ruins of the university back to the 5th century, towards the 12th century until when it was a great learning institution. Situated in the area known as Sakunat, the Tara Maa Mandir is a pilgrimage site for Hindu devotees. This temple is amid the surrounding of lush trees and a tranquil atmosphere, one that appeals to tourists and devotees alike. It is an important pilgrimage location for Hindu pilgrims who are touring all the religious places of Bihar. Tara Maa Mandir is a shrine that invites the devotees in a large number annually, and they can also enjoy the peaceful ambience around the temple. Singhtu is a region in Bihar close to Nalanda, which houses the Mian Talab, which is surrounded by four mohallas. The fresh water of this pond is a sought after tourist attraction. Even locals are found frolicking around the pond, amid the beautiful trees and gardens around it. Tourists are guided to the Talab because it is an appealing destination for those visiting Bihar for the first time. Close to Nalanda is another religious shrine dedicated to Lord Shiva. The area it is situated in is known as Ramchandrapur, which, as legend has it, is the location where Krishna and Balaram came to during the time of the Mahabharat. The temple is of religious importance to Hindu disciples and they are attracted to it in a large number. The temple of Lord Shiva is a big one, albeit not too extensive as it doesn’t stretch too far; but it is an important religious location for ardent devotees of Bihar, and even those who find themselves in the vicinity. Kargil Park is a garden of historical importance. One can find tributes dedicated to the freedom fighters of India. It is also a quaint and peaceful garden that appeals to kids and adults alike. Tourists also traverse this area to find out more about the historical importance of the place, and due to the mentions of the revolutionary freedom fighters of India. The park consists of various looming trees and lamps that light up after dark, and illuminate the beautiful location. The area in which it is located is known as Kargil Chowk, and one can find various historical references. Nalanda is a small part of Bihar and it holds great historical and mythological importance. The Buddhist and Jain monasteries located in and around this town are attractive parts of the state of Bihar. Nalanda holds great Buddhist importance for the followers of Buddhism, and also for the Jain devotees. The presence of Hindu temples also adds to its religious importance.